Who’s scared of penguins? Web developers and SEO specialists the world over, that’s who. You see, Google periodically redoes their algorithms; you know, the ones that determine which websites rank higher for search terms. When they do, they make a big deal out of it. A while back it was the Panda update, which sent marketers crying for their mommas when their awful sites were demoted. Then came Penguin, which did the same. More moaning and groaning from those who fill the internet with lame, spoofed content that only serves to fool people who don’t know better. 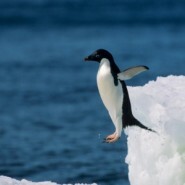 Recently Matt Cutts, the Google honcho who schools us all in SEO, began hinting at Penguin 2.0. It hit just last week…and not much has changed. Wouldn’t you rather not live your life fearing Google’s next update? There are some easy ways to make sure you’re not under your covers teeth-a-chatterin’ next time Cutts makes an announcement. That last one is the best. Having evergreen content linking to your site on respectable blogs and media outlets is a long-term success strategy when it comes to SEO. It’s “organic”, as Google says. And we all should buy organic – it’s better for you. So if you’re paying someone on Fiverr to spam the world for links to your site, enjoy those rankings while they last – because you’re on a one way ticket to demotion. If not now, at some point your site will drop like a rock to page 10,000 and no one will ever find you again. Real SEO professionals know how to link build without getting you in danger of demotion. Do your homework so you don’t get jeopardized just because a penguin waddles into town. Copyright 2014 Fat Birds Media LLC. All rights reserved.